Munnar, sprawling tea plantations, breathtaking views, chilling weather makes it an ideal traveler’s paradise especially for honeymooners. People from across the globe have already paid their visit and expecting to visit again and again because of the beauty of nature. The most popular hill station, Munnar is located at an altitude of 6000ft above sea level. Munnar is located in Idukki District and known for Idukki Dam, Pristine Valleys, Mountains and varied flora & fauna collections. Millions of tourists visit this destination every year and several accommodation options of different category are also available in this area. Major sightseeing places in Munnar include Mattupetty Dam, Eravikulam National Park, Chinnar, Top Station etc and many adventurous activities are also available. 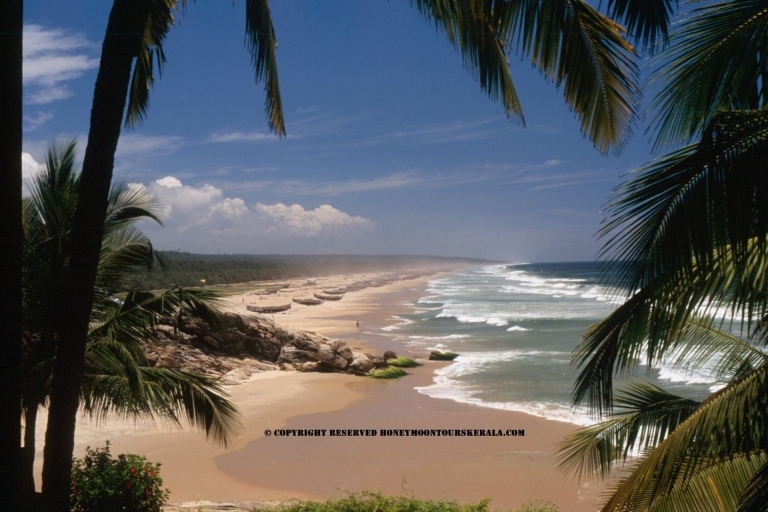 Though it has become one of the most sought after destination for honeymoon tours in Kerala. Periyar, also known as Thekkady is one of the most sought after a destination in Kerala is famous for its natural beauty, Spice plantations and scenic valleys. Located in Idukki District with Western Ghats boundary, this place is best known for its Wildlife Sanctuary which is a National Wildlife reserve for tigers. Sense stimulating natural beauty, Spice scented plantations and unending chains of hills make Periyar one of the most ranked attractions in Kerala Tourism. Nearby sightseeing spots around Thekkady include Murikkady, Periyar Wildlife Sanctuary, Kumily, Periyar Tiger Reserve etc with activities like boating at Periyar Lake to watch elephants, deer and few other endangered species of animals. Also known as “Venice of East”, Alleppey is a small beautiful town popular among travelers for narrow canals, backwaters, beaches, lagoons etc. One of the most popular tourist destination visited by scores of travelers to witness the beauty of backwaters & blue lagoons. Unique concept of cruising and overnight stay on an air conditioned houseboat is an added feature in Alleppey. Stay on a houseboat also called as Kettuvallom, offers an unforgettable experience and a lifetime memorabilia for travelers. Cruise is ideal to watch the exact beauty of natural backwaters and nature’s beauty sprinkled in the form of sea, land and sky & a kaleidoscopic view of paddy fields, rows of coconut trees and few historical moments on the river bank. Other than the above 03 destinations, Kumarakom, Varkala, Bekal, Wayanad, Kozhikode, Kovalam are also internationally renowned tourist destinations in Kerala, where lakhs of tourists visits every year. Availing a Kerala Tour Package of longer duration would suffice to experience the beauty of Kerala & feel the charm of nature laden beauty. Great hospitality is an added advantage in Kerala, the way the guests are welcomed at hotels/resorts and make them comfortable during the stay by providing international level of services and amenities/standards.